We are a consumer finance company. We are NOT a Title Loan company. We are NOT a Payday Loan company. Our personal loans range from $500 to $10,000 or more depending on your qualifiactions. Our rates are competitive and we tailor your monthly payments to fit your budget. We lend money to people who may not have access to traditional lines of credit. Lack of credit history? Past credit problems (even bankruptcy)? Other extenuating circumstance? We've helped tons of people establish (or re-establish) credit. We cant help everyone, but we sure try. Apply Now! We lend money in situations where banks and credit unions won't. In recent years, access to credit has changed. A lot of banks no longer make small personal loans. Most will not finance older cars. In many cases, we've found that when banks say 'NO', our experience and flexibility allow us to say 'YES'! We have years of lending experience. Our managers and staff have been doing this for awhile and will work hard to help you out. In fact, each branch has a minumim of 50 years of combined consumer finance experience. We aren't a big and impersonal company. The same guy (or gal) that makes you a loan will service your loan and take your payment. Question? Concern? Complaint? Contact us, we'll address it. We're here for the long haul. Our managers and staff are a part of the communities they serve. Some of us were born and raised here. Don't be suprised if you run into us at Walmart or at the friday night football game. 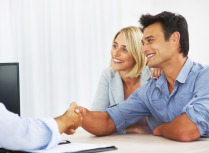 *All loans are subject to our normal lending requirments.